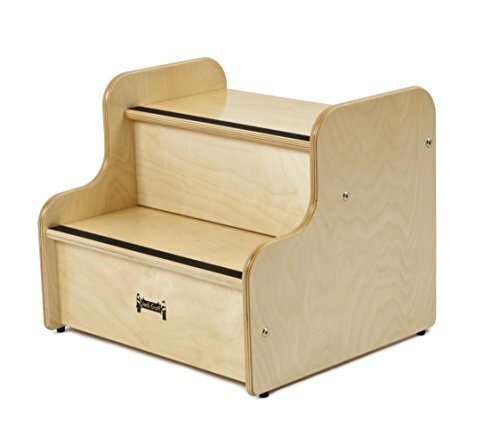 With two steps, the step up Stool Deluxe gives children a boost of up to thirteen inches, making it easier for them to REACH intended targets. Each step includes a one inch non-skip strip on top for added grip. Super strong and stable.